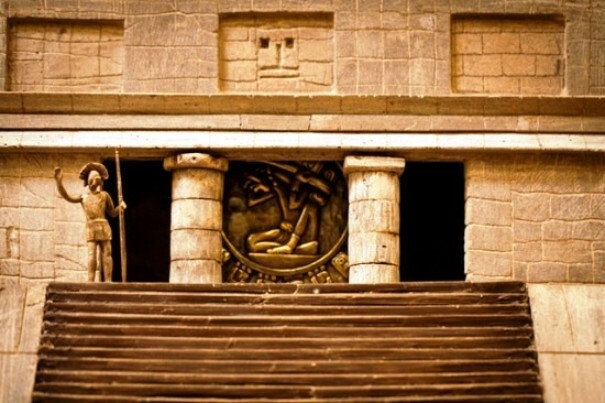 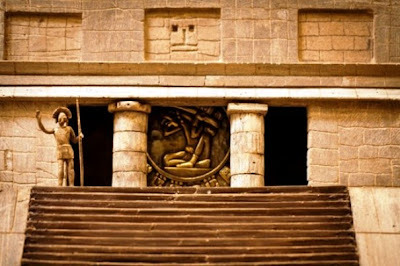 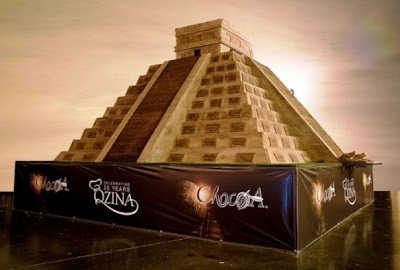 Chocolate-lovers need look no further for a place to pay homage to their favorite treat after chocolate lovers from Qzina Institute created a mouth-watering edible sculpture of an ancient Mayan temple. 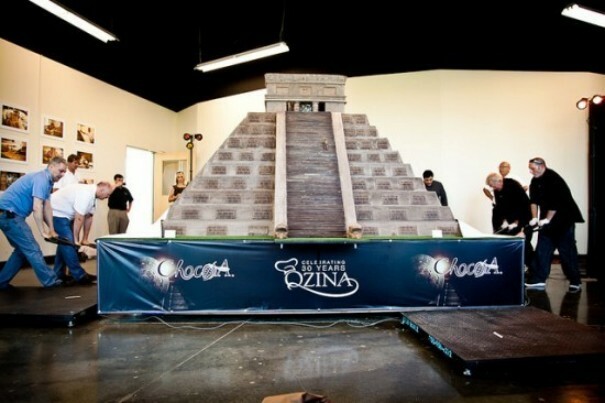 Chocolate lovers in The Qzina Institute have broken the world record for the largest chocolate sculpture after building a replica of the Kukulcan pyramid based in Chichen Itza in Mexico weighing an incredible 18,239 pounds - the equivalent of two adult elephants. The mouth-watering six feet tall creation is 10ft by 10ft wide and took 400 hours for staff at Qzina Specialty Foods in Irvine, California, to make. 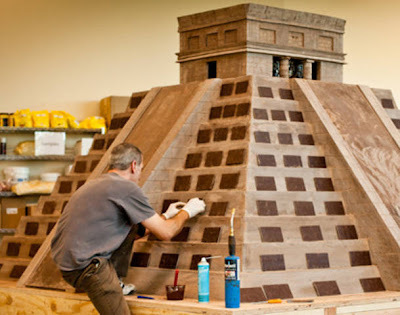 It smashes the previous record for the world's largest chocolate creation set in Italy in 2010 which weighed just 10,736.5 pounds. The Qzina Institute of Chocolate & Pastry made the delicious temple to celebrate its 30th anniversary - choosing the Mayan theme because of the crucial role the culture played in the origins of chocolate. 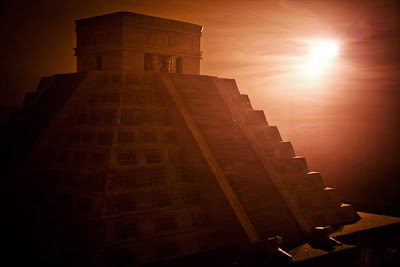 The Mayans were one of the first civilizations to cultivate Cacao trees and discover the true potential of the cocoa bean. 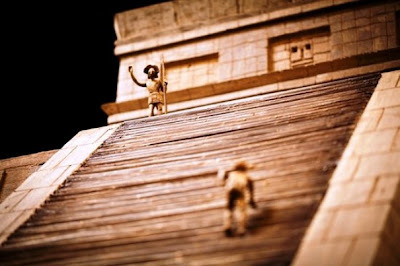 Realizing the delicious possibilities of this powerful discovery, the Mayans worshiped the Cacao tree and praised its beans as the food of the Gods. 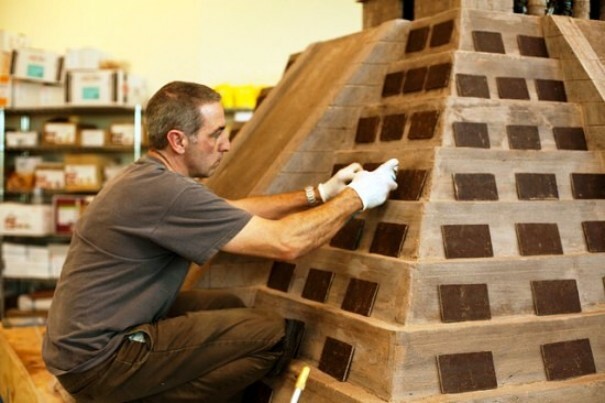 Qzina’s Corporate Pastry Chef, Francois Mellet, was the lead architect on this massive project and MOF Stephane Treand (Meilleur Ouvrier de France or Best Craftsman in France) lent his artistic touch to the sculpture’s intricate design elements. 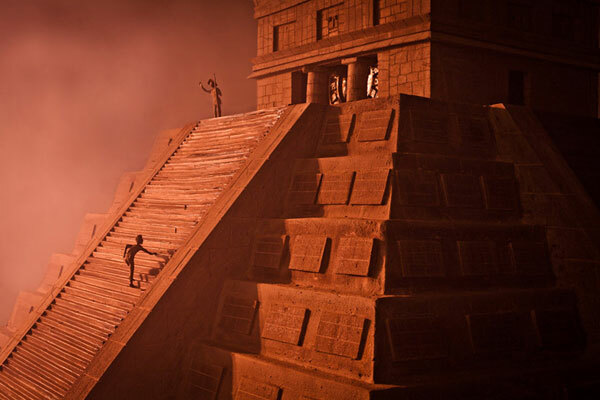 Built proportionally to the ancient temple’s true size, the solid chocolate pyramid is six feet tall and its base measures 10 feet by 10 feet – exactly one-thirtieth the size. 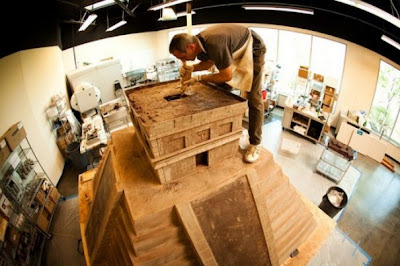 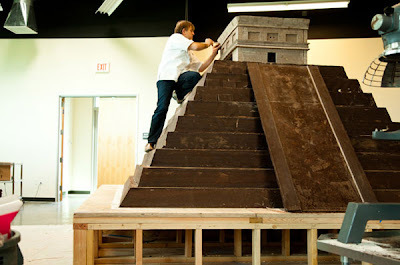 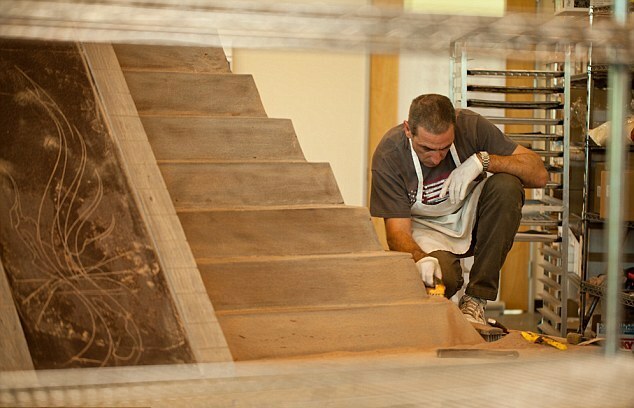 The sculpture’s base alone weighs more than 3,000 pounds.The chocolate pyramid will be displayed at the Qzina Institute of Chocolate & Pastry, located in Irvine, California, and will be available to view from June until it is destroyed on December 21, 2012, when the Mayan calendar comes to an end.